Solar power is clean green electricity that derives from sunlight or from heat from the sun. Having solar electricity in your home usually means setting up a solar photovoltaic system on your roof. Discover more in our solar energy education sections ahead. We’ve put together a solar energy education page geared more towards older primary school and secondary school age children covering the basics of solar power. There is also a basic calculator so kids can see how many solar panels would be needed to power their home. Check it out here. This series of videos explains various aspects of solar power and related equipment. A solar panel, while rugged and durable in its finished form, requires a complex and very technical process in its production. impregnate silicon wafers with impurities to create a semiconductor that converts sunlight into electric current. We then create electrical contacts to join one solar cell to another. As silicon reflects, we place an anti-reflective on top of the silicon wafers. This is usually titanium dioxide or silicon oxide. The solar cells are laid between a superstrate layer on the top and a backsheet layer on the bottom. The superstrate is usually glass, and the backsheet is plastic. In thin film solar panels, it’s a different process. It begins with a thin layer of flexible substrate such as coated glass, stainless steel or plastic and metal contact, and the solar cell then builds up in a series of layers. We then apply an oxide layer at the end to form the electrical contact of the cell. We then laminate the cell with a weather resistant superstrate material. Using solar power means reducing your energy bills and saving money. Also, installing solar PV panels adds value to your home. They are low maintenance and unobtrusive. Read our 10 tips for getting a solar power system, or tips for choosing solar panels. As we touched on earlier, solar panels use what’s known as the photovoltaic effect to generate power. This is the process by which light converts to energy at the atomic level. Put simply, when light hits a solar cell, electrons are knocked loose from a solar cell’s semiconductor material atoms. Positive and negative electrical conductors associated with each solar cell form a circuit that capture this energy in the form of an electrical current. Electricity travels from a power plant to your house via a power grid. This main grid is the national electricity grid. This grid provides power in QLD, NSW, VIC, SA, TAS, NT and WA. If you have no grid connection, it means that the power lines do not reach your house, usually because you live in a remote area. The power that supplies the grid most often comes from coal-fired power plants, which pollute the environment by releasing tons of greenhouse gases. PV systems generate energy from sunlight during the day. This energy goes into a grid connect inverter which converts the DC current into AC current, similar to that of the grid. 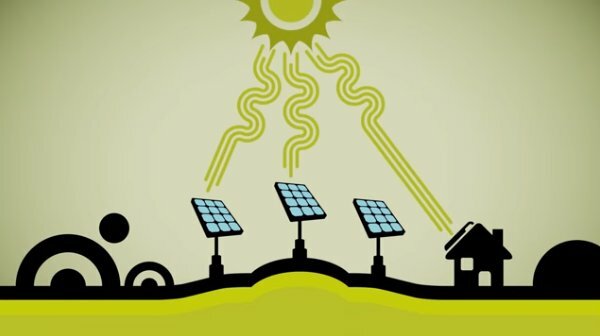 This solar electricity current can then power all the appliances in your home, such as cooking appliances, phones, computers, lights, radios, etc. Power comes directly from the solar inverter and any leftover electricity can then feed back into the grid. If you need more electricity than your grid connected solar system produces, that power will simply come from the main distribution grid. On the other hand, if you produce more energy than what you use, then you will find a credit for the surplus on your electricity bill. 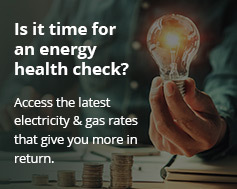 Some electricity retailers offer net billing, meaning your supplier buys the excess power you produce for the same retail price they charge you. Grid connect systems differ from stand alone solar power systems as they eliminate the need for a battery back-up. At night or during cloudy weather you can draw electricity directly from the grid. To install a grid connect solar PV system, you need sufficient space on your north-facing roof. Go to this resource for more information about grid connected solar power systems. A stand alone solar system means that there is no connection to the public grid. When you are “off grid” it means that you must create your own electricity to run your home. In this case, solar panels or wind turbines charge batteries which store energy. We often connect batteries to an inverter which supplies 240V AC power to run most appliances in a standard house. An inverter is unnecessary for stand alone systems that run DC appliances. Go to this resource for more information about off grid solar power systems. Solar PV pumping systems provide irrigation and drinking water in places where there is no mains power available. These solar PV water pumps make an ideal replacement for diesel and petrol powered pumps as they deliver the most water at times of need, i.e. when the sun is shining. They also emit no greenhouse gas and last a very long time. Essentially, you can convert any DC pump to a solar pump with the correct controller. Go to the following resource for more information about solar pumping. Solar thermal applications were the most popular category of solar energy technology. These technologies use heat from the sun for water and space heating, ventilation, and many other applications. Heating water represents the biggest single source of greenhouse gas emissions in an average Australian household (if you don’t count the car). The Australian government is encouraging households to switch to sustainable hot water technologies by introducing financial rebates. The rebates aim to reward homes for replacing traditional hot-water heaters with clean energy hot-water like solar and solar thermal hot water storage systems. Home owners can save up to 75% on their water heating bills with a solar hot water system. Solar hot water technology is entirely different to the technology that you see when you think of the basic solar PV panels on the roof of a house. Solar hot water systems usually comprise of a solar collector and a tank.